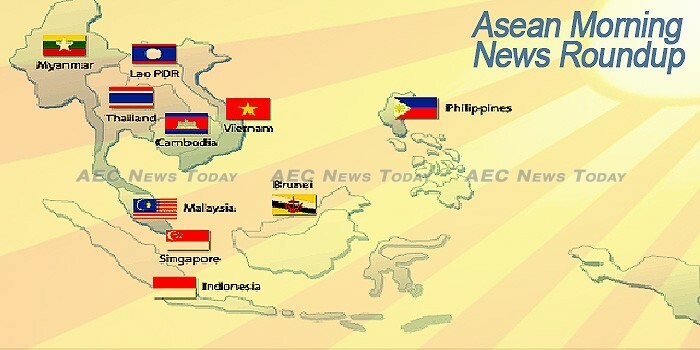 The Asean Morning News Roundup presents a selection of reports on what you need to know from around the Asean Economic Community (AEC) and is the most comprehensive Asean Morning News Roundup published. All articles are hand curated by the team at AEC News Today. OUR nearest neighbours are sometimes overlooked in the rush to do business with north Asia, but that risks missing out on a large, and potentially easier opportunity closer to home, Adelaide University executive dean of the Faculty of the Professions Professor Christopher Findlay believes. Asia’s tourism industry is booming, buoyed by rising incomes, low-cost air transport, and China’s growing outbound market. Investors have to be given a fair share of the revenue generated in the economy surrounding an infrastructure project to boost public private partnerships, said an expert. A recent trip by the attorney general highlights the priority Wellington places on engaging Southeast Asia on counterterrorism. Two socio-cultural challenges will be addressed by the Association of Southeast Asian Nations (ASEAN). It is now possible to go by car in any weather from Yangon (the commercial capital of Myanmar and formerly known as Rangoon) to Ho Chi Minh City (Vietnam’s commercial capital, formerly known as Saigon) by the East-West Economic Corridor and its southern extensions. For about three decades, much of ASEAN has experienced strong growth driven by exports, demographics and growing middle-class wealth. But as we enter a new year, only one thing is certain: forecasting is difficult. Harbor Star Shipping Services Inc., a leading provider of harbor assistance, lighterage, salvage and towing services, on Monday disclosed a plan to expand in Indonesia and Myanmar. The Department of Finance (DOF) on February 15 announced a new rule under the Bureau of Revenue (BIR) which will penalize banks and not taxpayers for late or unremitted tax payments made through credit, debit or prepaid cards. The regulations amends the Revenue Regulation (RR) No. 3-2016 which made taxpayers liable if their authorized agent bank (AAB) failed to pay the BIR their tax payment on time. To take advantage of Cambodia’s growing manufacturing and real estate industries, Japanese electronics conglomerate Hitachi has announced a joint venture aiming to expand into the local elevator and escalator market. Prime Minister Hun Sen on Monday asked China to help pay for new bridges across the upper and lower Mekong River in Phnom Penh as part of a ring road project aimed at reducing traffic. lobal credit rating agency Moody’s Investors Services has maintained Cambodia’s B2/stable sovereign rating, stating in its latest credit opinion on the Cambodian government that the rating was underpinned by the Kingdom’s credit strengths, specifically its healthy growth prospects and a stable external payments position. A Cambodian startup was selected to take part in Startupbootcamp’s three-month fintech accelerator program in Singapore, becoming the second firm from the Kingdom to join the international program in as many years. When In Channy took over the Association of Cambodian Local Economic Development Agencies (Acleda) in 1993 he found himself managing an odd assortment of loan officers. Shortly after Jonathan Rivers arrived in Cambodia in 2014 to work as a technical officer for the United Nations World Food Programme (WFP), he noticed how much time he and his colleagues spent retrieving data from different departments for their food security analysis work. Premiering at the 7th annual Cambodia International Film Festival, Mind Cage is a psychological thriller by Indian director Amit Dubey that explores the dissonance between old and new Cambodia, telling the story of a Phnom Penh psychiatrist whose life is torn apart by a psychotic kru khmer, or traditional healer. Actress-director Angelina Jolie says she hopes Cambodians will be proud of her film ‘First They Killed My Father’ instead of feeling hatred or resentment for what the country endured in the late 1970s. More than 88,000 candidates will be vying for the 11,572 seats up for grabs in the June 4 commune elections, the National Election Committee (NEC) announced on Monday, following a three-day registration window that closed on Sunday. Text messages, in which a broker at an unlicensed derivatives trading firm purportedly informs one of Prime Minister Hun Sen’s daughters that her trading account had been “topped up” with over half a million US dollars, were leaked yesterday. The Ministry of the Environment signed an agreement yesterday afternoon with the Japan International Cooperation Agency (JICA) in an effort to improve the Ministry of the Environment’s capacity to curb pollution and review environmental impact assessments (EIAs) for development projects. The Court of Appeals last week denied a bail request filed by lawyers representing an Australian woman who is charged with operating an illegal surrogacy company. Cambodia’s Prime Minister Hun Sen on Monday confirmed the authenticity of a recently leaked telephone conversation between himself and opposition leader Kem Sokha, and claimed it proves he engineered the latter’s ascent to the top of the Cambodia National Rescue Party (CNRP). Prime Minister Hun Sen on Monday threatened to jail journalists and NGO workers whose political analysis encroaches on others’ rights, and said critics should blame voters —not him—for his long tenure in power. Savannakhet provincial authorities have ordered 253 family-based furniture plants to shut down -many of them operating without business licenses, while some are failing to meet set standards. The Ministry of Post and Telecommunications (MPT) of the Lao government has banned entrepreneurs, legal entities and individual companies from importing or distributing satellite signal equipment. Some Chinese investors plan to shutter their banana farms in Laos and relocate to other countries while others plan to replace the yellow herbaceous fruit with other agricultural crops after sustaining losses. Vientiane still has a huge potential for businesses and investment since Laos is being integrated with South East Asian Nations (Asean), according to economists. A Decent Work Country Programme is being planned for launch in Laos for the next five years (2017-2021)with the objective of promoting the development of skills for young people in remote areas of Laos with a focus on particular skills needed by the labour market. The Swiss government has provided US$4.2 million for the third phase of the Support to the Reform of the Agriculture and Forestry Colleges (SURAFCO) project in Laos. President of the Lao Front for National Construction Mr Saysomphone Phomvihane has urged the Lao Cotton State Enterprise to continue to produce its products in various kinds for both local and overseas markets. Six of the winning bidders for fourteen leaders’ former cars have already paid and taken their cars, while the payments are determined to be completed today (March 7), according to relevant authority. The husband of a celebrity was formally charged Monday with money laundering for his alleged connection to a transnational drug suspect apprehended in Bangkok two months ago. The PM applauded the two legislative bodies for their active information and experience exchange and good coordination in external activities, especially at regional and international parliamentary forums such as the ASEAN Inter-Parliamentary Assembly and the Inter-Parliamentary Union. Lao Skyway (LK, Vientiane) has taken delivery of its first Airbus H125 helicopter thereby becoming the type’s Laotian launch operator. Erin McGoff is making the most of her last semester at AU. After traveling to Laos on alternative break, she decided to create a documentary exposing the horrors still occurring in Laos years after the United States covertly, and heavily, bombed the country. A local public-listed manufacturing company has agreed to pour in RM500mil worth of investments in Johor. Malaysia and Thailand are determined to see bilateral trade achieve the US$30 billion (RM133 billion) target by next year, with border trade set to play greater role in the coming years. Malaysian Prime Minister Najib Razak rebuked North Korea on Monday as his government expelled its envoy for casting doubt over the impartiality of the investigation into the bizarre murder of the North Korean leader’s estranged half brother. North Korea’s ambassador left Malaysia on Monday evening after he was ordered expelled for making disparaging remarks about the country and challenging its motives in investigating the killing of Kim Jong-nam, the half brother of North Korea’s ruler. Malaysia is protecting its “sovereignty and dignity” by expelling the North Korean ambassador, the prime minister said Monday, as relations between the countries unraveled further over the poisoning of Kim Jong Nam, the estranged half brother of North Korea’s leader. The North Korean ambassador expelled by Malaysia in a row over the investigation into the murder of the North Korean leader’s half-brother said on Monday (Mar 6) that the Malaysian government’s actions had harmed bilateral ties. Mercedes-Benz Malaysia said today that it is waiting for more information from Daimler AG, in light of a recall of one million new models worldwide due to potential fire risk. The International Monetary Fund (IMF), which is expected to applaud Malaysia’s resilience against headwinds in an upcoming report, has suggested that the government publish an annual list of potential risks to the nation’s finances. Malaysia has adopted a very tough stand on extremism and terrorism and has refused to make any concessions or tolerance on the matter, Prime Minister Datuk Seri Najib Tun Abdul Razak said. Singapore-based VC firm and business builder Reapra Pte Ltd has provided seed funding of $600,000 to Malaysian florist BloomThis Flora Sdn Bhd, a company started by husband and wife duo Giden Lim and Penny Choo. Corporate credit is likely to improve this year supported by the steady pace of economic growth and improving outlook for some key sectors. The ringgit opened slightly lower against the US dollar on better demand for the greenback, as some traders were still cautious ahead of the next US Federal Reserve (Fed) meeting on March 14-15. Giving the data on how bad the Malaysian oil & gas (O&G) sector was hit following the crude oil price crash, Malaysia Petroleum Resources Corp (MPRC) disclosed that overall profit for O&G services and equipment (OGSE) companies here slumped by more than half to RM3.1bil in financial year 2015 (FY15) from RM6.5bil the previous year. CIMB Equities Research is retaining its Reduce call on Hovid and sum-of-parts based target price of 30 sen after the manufacturing licence for the Chemor plant was reissued on Monday. North Korea’s launch of four ballistic missiles today has fuelled regional tensions and demonstrated the country’s disregard for the peace and security of the region and the world, says Putrajaya. Myanmar’s foreign trade value for this fiscal year (2016-2017) has reached over US$25 billion, with the trade deficit totalling more than $4 billion, according to official figures. Japanese brewer Kirin is hoping to tap into swift growth — and serious staying power — with its latest investment in Myanmar’s fizzing beer market, a senior executive said Friday. Myanmar hopes US technical assistance will allow it to signifcantly boost its shrimp production and exports, reports The Nation. Gunfire and fighting have resumed in the Kokang self-administered area at pre-dawn on March 6, ending months of peace in the troubled area. The Myanmar authorities have increased the abuses on the Rohingya people in Maungdaw Township as they refuse to accept NV Card (National Verification Card or NVC), it has been reported. Thailand’s metal packaging firm Sahadharawat will be investing $5.1 million for manufacturing metal cans in Myanmar. Also, Singapore’s leading property group Soibuild is setting up a plant at an investment of $13.9 million to produce steel products in the country. MYANMAR is at a crossroads. With a democratically elected government, growing levels of foreign direct investment, rich endowments of natural resources and one of the highest rates of economic growth in the Asia-Pacific region, the future looks bright. The production of seashell ornaments has dropped as the population of shellfish shrinks due to excessive and irresponsible fishing, according to the residents of Thandwe Township, Rakhine State. The names of townships which are included in the first phase of Myanmar’s national health project (2017-2021) will be announced at the end of this month, said Dr Thant Sin Tun, assistant secretary of the Ministry of Health and Sports and the leader of the group for designing the project. Farmers in Mrauk-U township of Rakhine state will meet with officials of Rakhine state government to discuss dropping rice prices. On February 25, around 400 farmers staged a protest, calling on the state government to deal with declining rice prices. The delegation led by Tuenjai Deetes the National Human Rights Commissioner of Thailand – along with journalists, researchers and civil society representatives – visited Dawei in late February to exchange views in a public forum and push forward the investigation of two Thailand cross-border investment firms: Myanmar Pongpipat company and Italian-Thai Development company. After the visit, the National Human Rights Commission of Thailand (NHRC of Thailand) will submit a report to the Thai and Myanmar governments. The Thone Sint (Three Level) Waterfall resort near the Kyauk Chaw-Ye Ywar road is built by the Shwe Dokhtawaddy Company which was founded by three rich villagers from Magyi Inn village. Mandalay is putting some 170 fishing lakes in the region under the hammer this coming budget year, according to the Fisheries Department. Guwahati, Mar 6 (PTI) Numaligarh Refinery Limited (NRL) has entered the Myanmar market by exporting wax, following the visit of Union Petroleum Dharmendra Pradhan to the neighbouring country. In a sign of Myanmar’s rise as a tourist destination, another cruise company has announced plans to set sail along the Irrawaddy River in response to growing demand. MiTA is organizing MHC 2017 with multiple themes because then the exhibition becomes more effective at present time in Myanmar because there will be better business matchmaking with Myanmar Medical-Pharma Companies and Myanmar Importers & Distributors; the majority of the private companies in Myanmar are family-owned and they have multiple businesses and this also attracts more number of trade visitors, professionals and the general public to attend the exhibition. The Former Political Prisoners Society (FPPS) has denounced anyone who opposes the process of constitutional reforms, according to a statement released at a conference at the Orchid Hotel in Yangon on March 5. A man was seriously wounded last week when a group of masked individuals invaded his home and fled with several of his possessions before firing shots at him. The attack took place last Friday afternoon, when six masked men on motorcycles approached 39-year-old She Chan Yi’s house located in Mu Se District’s Kutkai Township. The Philippines rejected US plans to build facilities at a military air base that is nearest most of the disputed islands in the West Philippine Sea (South China Sea) – the Bautista Air Base in Palawan – following President Rodrigo Duterte’s order to review implementation of the Enhanced Defense Cooperation Agreement (EDCA). A US State Department report calling attention to vigilante-style killings linked to President Rodrigo Duterte’s brutal war on drugs may cost the Philippines millions of dollars in military aid from Washington, a former envoy said Monday. Consumer prices in the Philippines rose broadly in line with estimates in February at the fastest rate since November 2014. Police have re-launched nationwide operations against illegal drugs after a month-long suspension in the Philippines. The operation was put on hold after the murder of a South Korean businessman. A global ratings agency said Monday it downgraded the Philippines’ political risk rating, citing heightened instability following the arrest of Senator Leila de Lima, a high-profile critic of President Rodrigo Duterte’s war on drugs. President Rodrigo Duterte on Monday approved the establishment of a national broadband plan, according to Agriculture Secretary Manny Piñol. Five China-based firms are planning to make their first investments in the Philippines by putting up local companies with total investments of up to $10 billion. The United States Agency for International Development (USAID) has given a P1.2-billion boost to the Department of Environment and Natural Resources’ biodiversity conservation efforts. President Rodrigo Duterte has appointed Sandiganbayan Associate Justice Samuel Martires as Supreme Court (SC) justice. Some tourists visiting Boracay expressed dismay at the thick algae found on the shores of the famous island, a report on News To Go on Monday said. Singapore, 7 March – Today, the United Nations Development Programme (UNDP) and the Governments of Australia and Singapore launched a four-year Anti-Corruption for Peaceful and Inclusive Societies (ACPIS) project. DBS revised its forecast for Singapore’s inflation to 1.2% from 0.9% previously, taking into account the upside risk to inflation in the coming months. SMEs, Singapore’s top job providers, can boost their growth by embracing technology – and the government is going all out to help them. Tourism will be getting a boost from visitors headed from airport to seaport, as Singapore seeks to woo more travellers to embark on cruises from its shores. Singapore’s defence minister, Ng Eng Hen, has outlined plans to boost the Singapore Armed Forces’ (SAF’s) capabilities in cyber defence and other advanced technologies. A new Cybersecurity Professional Scheme for the public sector was revealed by the Communications and Information Minister Yaacob Ibrahim on Monday (Mar 6). The Government will launch a Cybersecurity Professional Scheme in July to attract cyber security experts to the public sector, and to develop and retain them. The latest International Construction Costs Index published today by Arcadis revealed that Singapore is the third most expensive Asian city for construction, trailing behind Hong Kong and Macau. The philanthropic arm of Temasek Holdings is offering up to S$3 million in funding for innovative solutions that will make Singapore a more liveable city. With earlier efforts to help small and medium enterprises (SMEs) go digital failing to gather steam, and many saying they are not sufficiently tech savvy, the Infocommunications Media Development Authority (IMDA) is stepping in to coordinate and customise digital plans for various sectors. Singapore is confident that China can successfully transform its economy, and its success will benefit the world, Singapore’s Ambassador to China Stanley Loh has said. Six-storey building to be leased to a mysterious client for an initial lease term of more than ten years. Over the past three weeks, right-wing media have been demonising Wat Dhammakaya and justifying the junta’s crackdown by linking the sect to the red-shirt movement. An expert points out that the longer the process continues, the harder it will be to find a peaceful end. Thailand’s military government plans to spend about 406 billion baht ($11.59 billion) on airport development nationwide over the next 10 years to handle increasing passengers, a senior official said on Monday. THE TOP 10 property firms listed on the Stock Exchange of Thailand have reported combined revenue of Bt215.7 billion for 2016, down 2.83 per cent from the previous year, after sales in the final quarter of last year were lower than their estimates. Most people have likely heard the term “Thailand 4.0” continually since the Prayut Chan-o-cha government began promoting it. HEADS of professional media organisations will be prohibited from sitting on a controversial council to be set up under a new law aimed at regulating the mass media. MYSTERY surrounds the disappearance of a Russian tourist on an idyllic Thai island where two Brits were brutally murdered. The Bank of Thailand has announced the rate of electronic money transfer through PromptPay system between legal entities. DHL eCommerce, a division of the Deutsche Post DHL Group (DPDHL Group), is capitalizing on the booming Thai e-commerce market expected to more than triple in size to EUR 3.6 billion between now and 2020 by enhancing its nationwide coverage with next day delivery in remote areas and extending pick-up service to small e-commerce merchants to meet its growing customer demands. ALTHOUGH unemployment was still quite low in 2016 at 0.99 per cent, it has been relentlessly climbing, with rates of 0.8 per cent in 2013 and 0.9 per cent in 2014 and 2015. Albany, New York, March 06, 2017: Market Research Hub has recently announced the addition of a new report to it broad database titled as “The Cards and Payments Industry in Thailand: Emerging Trends and Opportunities to 2021”. Thai digital finance firm Group Lease Public Company Limited (GL) has posted net profits of 324.4 million baht in the three-month period to the end of 2016. Dusit Thani Public Company Limited, one of Thailand’s foremost hotel and property development companies, announced it has signed an agreement with the Crown Property Bureau to continue leasing the plot of land at the intersection of Silom Road and Rama 4, and on which the Dusit Thani Bangkok is built. Healthy ageing, natural supplements and personalised nutrition: these are three emerging trends in Thailand offering ample opportunities for industry growth. Milestone Aviation Group Limited (“Milestone”), the global leader in helicopter leasing, announced today that it has leased two Sikorsky S-92 and five Sikorsky S-76D helicopters to be operated by Thai Aviation Services Co., Ltd. (“TAS”). Olga Smirnova, a Russian citizen, who was arrested in Thailand for feeding fish in an ecologically-protected area, has been sentenced to a fine of 1,000 Thai bahts (roughly $28), head of the Russian embassy’s consular department in Thailand, Vladimir Sosnov, told TASS on Monday. With the rise of LCCs and millennial preferences, passenger volume into Chiang Mai grew 13 per cent to hit 4.6 million arrivals in 2016, trailing only Phuket among Thailand’s provincial airports last year, according to C9 Hotelworks’ Chiang Mai Hotel Market 2017 report. Dusit International is embarking on what is being described as the most significant period of expansion in the company’s history. The Vietnamese government has set a target to fully divest from sugar mills by the end of this year, which is aimed at raising the competitiveness of the sugar industry, a local newspaper reported Monday. Le Thanh Nguyen in HCMC last week bought 100 medical masks at once, because she only had to pay VND15,000 only for every box of 50 masks. But she later regretted her decision as she discovered that the mask was made of dirty cotton. Vietnamese private budget airline VietJet’s VJC.HM market capitalization surpassed that of state-owned Vietnam Airlines HVN.HNO on Monday, only a week after it was listed. Multiple cases of sleeper buses catching fire have been recorded across Vietnam in recent months, with authorities scratching their heads to determine the cause and to prevent similar incidents. The Vietnamese State and Government will create the best conditions for the country’s army to enhance co-ordination with their Myanmar counterparts to deepen bilateral friendship. Some major brands in Việt Nam had to stop advertising on the world’s largest online video site, YouTube, when these brands’ advertisements were linked to clips containing poor content. Casino industry: what will happen after the trial period? The government now allows Vietnamese to go to only two casinos, in Van Don and Phu Quoc. Ha Ton Vinh, who has been pursuing multi-billion dollar casino projects in the last 10 years, commented that the two casino projects, capitalized at $2 billion in Lang Co, Hue City and Bac Van Phong of Cam Ranh have just received the government’s approval in principle. The central province of Quang Binh suggested the the Ministry of Transport and Vietnam Airlines increase the number of domestic and international flights to and from Dong Hoi airport, in a bid to meet tourists’ demands. Liver supplements marketed for detoxication and supporting liver functions have become big business. Executive Director of the Global Fund to Fight AIDS, Tuberculosis and Malaria Mark Dybul has pledged to help Việt Nam maintain its achievements in the prevention, diagnosis and treatment of HIV/AIDS, tuberculosis and malaria. Ho Chi Minh City-based investment firm Vietnam Investment Group (VIGroup) is leading a $2 million Series A funding round in O2O real estate platform Congnhadat.net, the realty portal founder told. Caramo, Vietnam’s first used car trading service, has attracted an angel investment from serial entrepreneur Jonah Levey. In another development, a newly established venture building team called Founder Team said it will be buying Hanoi’s one-time famous F&B chain Tonkin Coffee. Data collected from 68 surveillance cameras along the Ho Chi Minh City-Long Thanh-Dau Giay expressway in southern Vietnam will be analyzed by a control center for real-time analysis of traffic situations. The Asean Morning News Roundup is compiled by the editorial team at AEC News Today: Governance, not government; policies not politics.